After months of build-up, the participation of several national final veterans, allegations of fraudulent voting, and a behind-closed-doors jury vote, San Marino has whittled 557 submissions down to just 11 artists for its 1 in 360 national final. 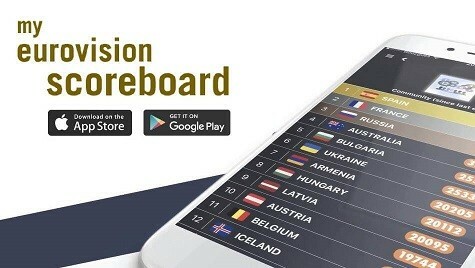 In 2018 Camilla North, Emma Sandstrom, Franklin Calleja, Giovanni Montalbano, Irol, Jenifer Besky, Jessika, Judah Gavra, Sara de Blue, Sebastian Schmidt and Tinashe Makura will each perform live in front of a panel of judges — and Eurofans watching online — with the hope of advancing deep in the competition. Assessing the pre-contest favourite isn’t easy, and there are several ways to break it down. Many would give that title to Emma from Finland. She entered UMK 2017 as a huge fan favourite and seemed to cement her status as the fandom’s preferred candidate by winning the Fan Vote Wildcard. It seems the technical stumbles at UMK — and her classy response on YouTube — have only added fuel to her fire. But, of course, national final veterans Franklin Calleja and Judah Gavra also made the Top 3 in the Fan Vote Wildcard, suggesting they are in the theoretical mix too. Ultimately it all comes down to the live performances in the new year. Others may argue that the Fan Vote Wildcard isn’t necessarily representative of Eurovision fans at large, but rather the vocal slice of it and those who join fan groups. There is a silent majority who aren’t active on social media or in various groups, and who dip in on the day of the contests to enjoy the music and cast their votes. One way to potentially reach this wider set of fans is to look at the second wildcard, where people simply gave hearts to the acts they enjoyed. Certainly the number of unique votes cast would be higher than the number of people in the fan groups that decided that wildcard. Here Italy’s Giovanni Monalbano was the clear winner…though his nearly 400,000 votes have been questioned by many. Discounting that number, we see the finalist with the highest number of votes was Malta’s Jessika, who finished 12th among the 557 submissions with 17,921 votes. Camilla North from Norway was the only other finalist who managed to make the Top 32. She earned 1,206 votes. Putting numbers aside altogether, some fans would argue that IROL is the act with the sentimental and emotional advantage, owing to the fact he is actually from San Marino. The Sammarinese population is small, but if everyone with a TV votes for him, he could well have a fighting chance. In any case, all of these theories and suggestions will likely disappear the moment the acts go live. Voice and song will make you or break you. So for now we simply want to know: Which 1 in 360 finalist had the best audition video? You can watch all of them at the links below. Then vote in our poll. You can vote for as many acts as you’d like, but you can only vote one time, so make it count. Preliminary, without a final song, I’d say Jessika. That woman proved that she really wants to participate in ESC. Too bad The Flame is now ineligible. This Jennifer Besky is really good! Great cover of “Chandelier”. I hope she sings the same way live. I also like Jessika. From all these artists, I believe the best choice is Sara de Blue. He has her own style and personality, a beautiful voice without trying to showcase her vocal abilities all the time. If she’s given the right song, she will be great for San Marino. This is an intriguing idea! Really interesting and honest analysis! And you’re right: San Marino needs to keep Ralph Siegel at bay and get a MODERN 2018 SONG. Lol, Ralph Siegel also tried it in Germany many many times… Why is this man still trying?He just doesn’t have any Talent for creating good modern song… When you don’t have talent for something maybe someday you should just stop..
We shouldn’t forget that Siegel has strong connections to Malta. Actually, I think that Jessika is the kind of artist he’s collaborate with. Irol. Not just because he’s from San Marino, but he’s actually very good. “Irol feat. Emma” would be the perfect match. I hope the selection won’t be just a “singing competition”. They all can sing very well, it seems. I’m firmly on team “Irol feat. Emma”. They would be a power pair!